If you take a look at the number of couches in great condition in consignment shops, second-hand and thrift stores, there are plenty of people who decide to replace their couch simply because they want to redecorate. And if you take a look at the number of couches on the curb on trash day, there are plenty of people who decide to replace their couch when the arms fall off and the cushions have exploded. There is an appropriate mid-ground between the two. The average life of a sofa purchased today is seven to 15 years, but there are six warning signs before the arms fall off that it might just be time to start looking for a replacement. We are a mobile society and that first couch purchase you made after college for a rented apartment may look lost in a large family room in your new home. Or, you are downsizing and that big couch is crammed into a new smaller space blocking the views from the windows. You can move smaller couches to a bedroom or study. But for smaller rooms, a couch should not be jammed in between other pieces of furniture or placed so that it is rubbing against another surface each time someone sits or lies down. This will cause excessive wear on the upholstery and could damage the frame. Time to replace your couch. If you hear squeaking, popping, or creaking each time someone sits down, those are warning signs that the couch has structural damage. The noises could be a problem with the joints on a wooden or metal frame or the weakening of a metal spring. Older furniture was usually constructed with hardwoods and screws. Less expensive furniture today is put together with manufactured woods, staples, and epoxy. 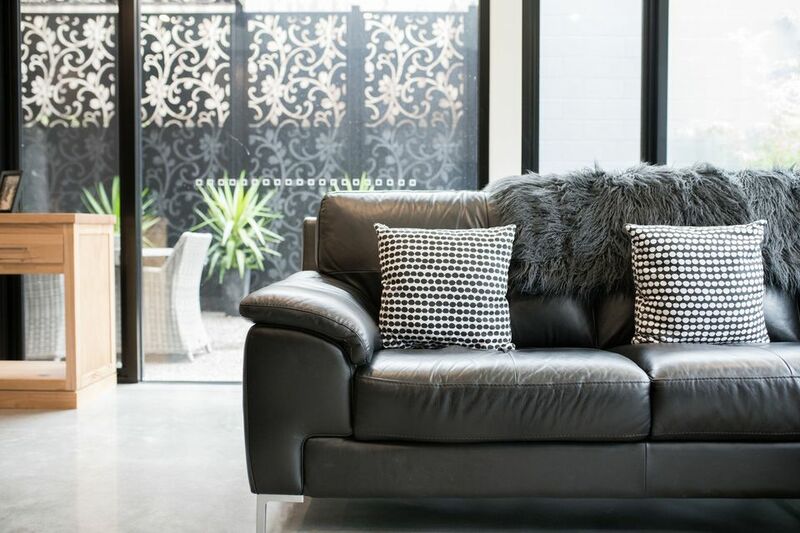 Unless the couch is older or a cherished family heirloom, the cost of repairing the structural damage and replacing the upholstery can be nearly as much as a new sofa. If the carpet feels like it offers more padding and support for your nap than the sagging couch cushions, it's time to make a change. If the upholstery on the rest of the couch is still in good shape and can be easily removed from the seat cushions, you may be able to get a bit more life from the couch by simply adding new filling. Seat cushions can be padded with pillow inserts, solid foam cut to the correct size, or loose, shredded foam. To add a bit more support to seat cushions, measure the length of the sofa between the side arms and the depth of the seating area. Cut a one-half inch thick piece of plywood to fit the space and place it under the cushions. Unless you have been diligent in keeping pets, kids with leaky diapers, and sweaty bodies and feet off the couch, you can have a build-up of odors in the upholstery and the padding underneath. Regular vacuuming and steam cleaning help, but eventually, the odors may win. If a room doesn't ever smell fresh, even after cleaning, it may be time for a new couch. You probably didn't choose a scratchy fabric when you bought the couch but now you feel itchy after a nap and may even have red welts on your legs. You may have bedbugs. What better time to replace the couch? How can that huge floral print you loved look so dated now? It's perfectly understandable that different home styles and our own tastes change over time. Eclectic is a wonderful decorating style but sometimes even that look needs a new sofa. There's a difference between a change in decor colors and tastes and upholstery that is frayed, faded, or heavily stained. Daily use, jumping kids, and pets will eventually wear out most fabrics. Some frayed areas can be mended, even on leather; but eventually, the fabric will expose the padding underneath. Fading comes from placing a couch directly in front of a window that receives direct sunlight. Not only will the color change, the ultraviolet rays of the sun can weaken the fibers to a point of ripping. Stains are inevitable if anyone uses the couch at all. Spot cleaning should be done as soon as spills happen and a thorough upholstery cleaning will brighten the look of the fabric and help with some odors. You can purchase cleaning products and rent or purchase a steam-based machine or hire a professional cleaner. If the couch is structurally sound or sentimental, there is a choice of reupholstering instead of replacing the couch. Upholstery fabric is expensive and unless you are very handy with do-it-yourself projects, a professional may be needed and labor costs must also be added to the bottom line. Perhaps a good slipcover will buy a bit more time as you decide what to do: replace or reupholster.